Portable Toilet Hire – Midland Toilet Hire. Midland Toilet Hire are a professional portable toilet hire company that specialise in toilets for events, construction sites, concerts etc. We have an abundance of experience within the Portable Toilet Hire industry and pride ourselves on our ability to respond to our customers needs professionally and efficiently. Midland Toilet Hire provide our Portable Toilet Hire services throughout the West Midlands, East Midlands, Leicestershire, Shropshire, Worcestershire, Gloucestershire, Warwickshire, Derbyshire, Staffordshire and the surrounding areas of these regions. No task is too small or too big, weather you require one toilet or several, Midland Toilet Hire is fully experienced in dealing with your project requirements. Sewer connected or tank mounted give us a call today and one of our skilled representatives will answer any questions or queries that you may have. We are confident we will have the right amenity to suit your requirement. 0800 999 2820. Portable Toilet Hire are delivered and serviced with professionalism where and when you need them for your construction site or special event. 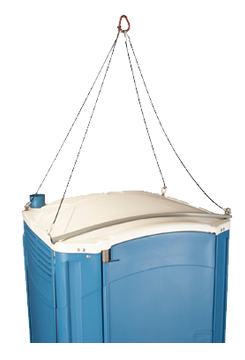 Delivered directly to your construction job site and serviced by our dedicated local teams, our standard portable toilets are ideal for residential or commercial construction projects. Portable Toilets with hot or cold water. Because of our outstanding customer service, we are a preferred supplier to many companies within the construction trade.